In the last one year, the Joint Admissions and Matriculation Board has regularised over 400,000 admissions for students who had scored below cut-off marks, among various irregularities, the board’s Registrar, Prof. Ishaq Oloyede, has said. Oloyede, who made the disclosure in an exclusive interview with Saturday PUNCH in Lagos on Friday, said many universities and other tertiary institutions had engaged in the irregular admission of candidates for 10 years. The former vice-chancellor of the University of Ilorin also said within his first six weeks of resumption as the JAMB’s Registrar, at least 100 tertiary institutions had asked the board to regularise the admissions of 17, 160 students, who had similarly not been admitted the proper way. He said such institutions had been making pronouncements on cut-off marks that they had failed to follow, adding that the recent lowering of cut-off marks for the board’s Unified Tertiary Matriculation Examination from 180 to 120 and 100 would give schools the chance to do the right thing. 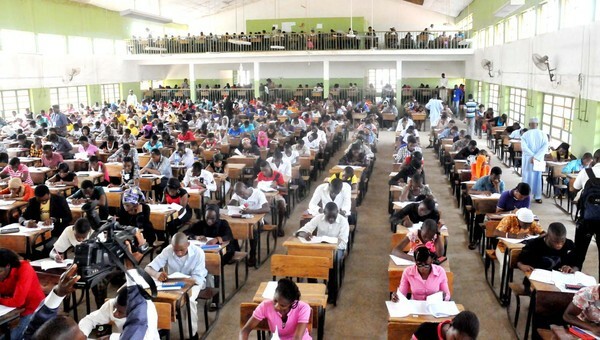 He said, “Within six weeks of my assumption of office, the statistics show that a total of 17, 160 candidates were submitted to JAMB for regularisation. “Regularisation is largely required when the persons involved did not obtain (UTME) forms at all, did not have the minimum qualification or they took UTME and scored lower than the cut-off mark. And they were admitted. Between last year and now, I have regularised over 400,000 of those cases for them (such students) to go for the one-year National Youth Service Corps scheme. Oloyede said he was surprised upon his appointment as JAMB Registrar that institutions had been conducting such admissions. He, however, noted that some universities in the country had been strictly following rules, including refusing to admit any candidate who scored below cut-off marks. He said, “I can give you the statistics of all the universities that have admitted candidates with 120, 130, 140 (UTME) scores in the last 10 years. They have come to JAMB to regularise. If they want to challenge me, by the time we bring out evidence, some of them will be ashamed. “So, people should use what they find convenient rather to be making pronouncements and doing something else. That is why I said we are being hypocritical.Schools should not make pronouncements that their cut-off is 200 and admit candidates that scored 160 underground. It has been happening. According to Oloyede, educational agencies in the United Kingdom and Australia have also adopted policies similar to the controversial reduction of UTME cut-off marks in Nigeria.